Sian is the founder of Kitenge, an ethical clothing brand which empowers tailors and improves their livelihoods in Tanzania, East Africa. She attended SSE’s Start Up Fellowship Programme in 2016. What’s the story behind your social enterprise? After graduating with a degree in Fashion and Textile Management in 2011, I worked in the fashion industry in London and New York and witnessed some unethical practices that were having a negative impact on factory workers’ lives in the Far East. I felt uncomfortable continuing my work, so took the decision to leave my job and volunteer for a youth charity in Tanzania for 3 months. While I was there I was very fortunate to live with a local family who taught me a great deal about Tanzanian culture, their traditions, values and language. At weekends I often travelled with them to the market by local ‘dala-dala’ bus and fell in love with the brightly coloured African wax print fabrics, which they call ‘kitenge’ in Swahili. After completing my voluntary work, I returned to Tanzania 6 months later to set up Kitenge’s supply chain from scratch and the first collection was born! In the UK I started test trading at local market stalls, which quickly grew into small music festivals before launching online. In early 2016, I took the plunge and went full-time on the business. I’ve never looked back! What impact are you having? More than 30% of Tanzania’s population is living below the poverty line, making it one of Africa’s poorest countries. We empower tailors to start up and grow their own businesses independently by supporting their fine craftsmanship and paying them a fair price per item. This has helped to reduce local unemployment, provide training opportunities and investment in new equipment and premises. All of our raw materials, from the buttons to swing tickets, are locally sourced in Tanzania. It’s crucial that the money stays in the local economy and supports small businesses as well as the declining African textile industry. We also recycle all the fabric off cuts from the workshop floor by making smaller items such as jewellery, hair accessories and bags – minimising fabric waste and preventing it from going to landfill. Our ultimate goal is to start a tailoring school and business hub for young people in Tanzania where they can learn valuable skills. 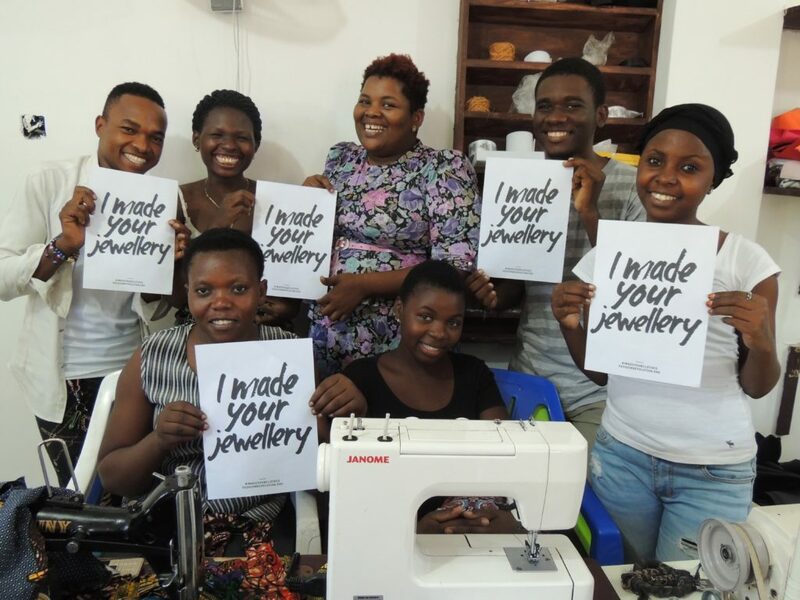 Upon graduation we will support them in starting their own businesses or help them to find suitable employment within the Tanzanian textile industry. Is there one story which stands out for you? 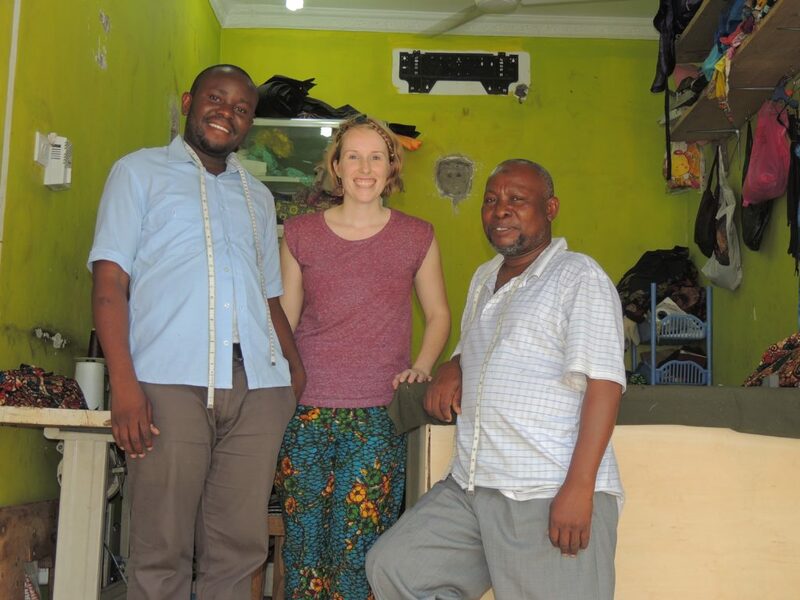 Before becoming Kitenge’s main tailor, Abdallah was working in a small, cramped workshop with 3 other tailors. Each time I visited him my heart sank – he was an exceptionally talented and experienced tailor who deserved to be running his own business. After completing our first order he explained that half of the money we gave him went directly to the owner of the workshop and the rest was equally divided between the other tailors. We felt this was very unfair, as he had done all of the work, and realised this was why he was being held back. Abdallah asked me if I could help him to purchase a new overlocker machine so that he could start working from home on our next order. A few months later, Abdallah proudly opened a new workshop opposite his home using the profits made from our orders. He was also able to invest in eight new sewing machines and has hired and trained two other tailors to work with him on our increasing orders. In the near future, Abdallah plans to move to a larger workshop so he can hire more tailors to utilise all of his new sewing machines. Since working with Kitenge, Abdallah has been able to increase his income, job security and provide for his family more easily. He has also been able to spend more quality time with his family, as he no longer has to travel over an hour by bus each way to the shared workshop. Recently, Abdallah has purchased some land so that he can slowly start to build a home for his family instead of renting and sharing a house with other families. When I first visited Abdallah’s new workshop I felt overwhelmingly proud of his achievement and it took a while for it all to sink in that Kitenge had helped him to get there. 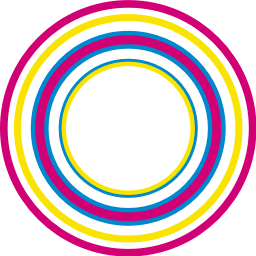 How did SSE help your business? SSE’s support was vital in helping me to overcome my business challenges. Over the programme, I built a wide network of support and learned skills, which have enabled me to drive my business forward. The expert session on social impact reporting was especially valuable – it encouraged me to dig down into all the good my project was creating for our beneficiaries, gather more evidence when I visited Tanzania, and consider the best way to communicate it to our stakeholders. As well as my two mentors, the facilitator of my Action Learning Set was very supportive. She created a unique, welcoming and trustworthy environment where we all felt comfortable to speak about any issues we faced without judgement. Action Learning was similar to therapy for business owners! I came out feeling uplifted each time and was able to go away and pro-actively work on the action points from each session. Overall, SSE has been incredibly helpful and I feel I can reach out to them at any point for guidance since graduating from the Fellowship course.